The Niger Delta Development Commission, (NDDC, have further explained why Mr. Nsima Ekere was sacked as Managing Director of the agency by the federal government. 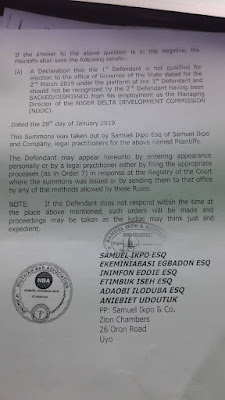 An affidavit deposed by Mr Alexander Pepple, one of the contractors in NDDC, hinted that over 50 protests were made against Mr. Ekere while he was Managing Director of NDDC before he was fired by President Buhari on January 25, 2019. 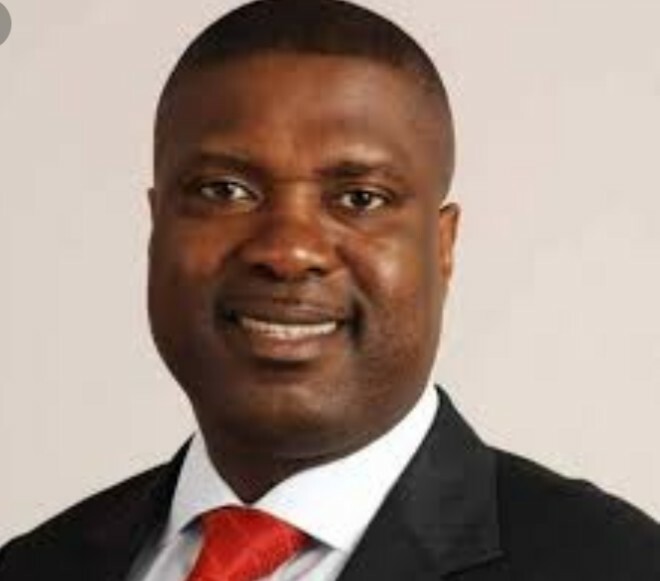 The contractors had petitioned Mr Nsima Ekere to the Central Bank of Nigeria, American Embassy, British High Commission, French Embassy, Netherlands Embassy, and Italian Embassy accusing him of embezzling over Forty Billion Naira which according to them, “he used to acquire choice properties in, Port Harcourt and Abuja and also to fund his campaign expenses”. “These protests were upheld and he was sacked. The last protest was held on the 21st and 22nd of January 2019 at the EFCC office and the National Assembly, Abuja”. 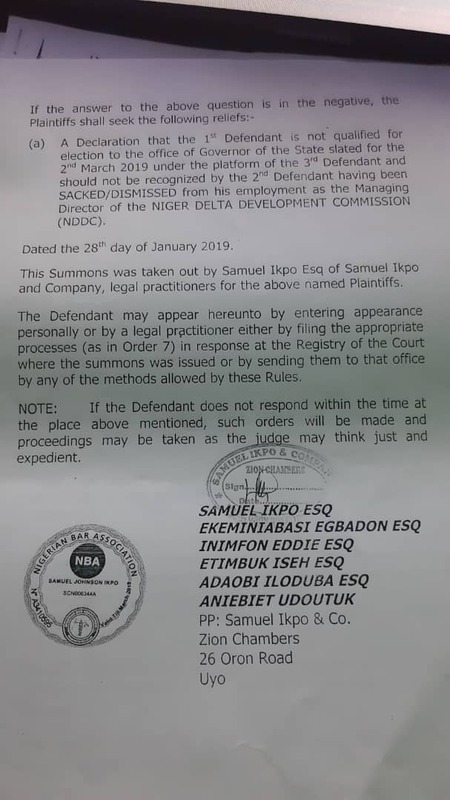 Pepple, one of the contractors who handled various jobs for the Commission under the aegis of ‘Indigenous Contractors of NDDC have dragged the APC Governorship candidate to court, seeking his disqualification from the race having been sacked from his position as Managing Director of NDDC. Exclusive documents obtained by our reporter reveal that Alexander Pepple , Major (Barr) Hogan Okon End (rtd) and Barr. Daniel Opuene, acting on behalf of Indigenous contractors, want the court to determine whether the sacked NDDC boss has the right to still parade himself as candidate of the APC, by virtue of allegations bothering on financial impropriety. Meanwhile, the Chairman of INDIGENOUS CONTRACTORS OF NDDC’ Mr. Omokri Tombari has also accused Ekere of over N20 Billion through phoney contracts fronted by his cronies for his personal and political gains. President Buhari had on January 25, announced the dissolution of the entire board of the Agency, appointing an interim management board to take over affairs. 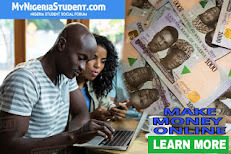 Boss Mustapha, Secretary to the Government of the Federation, had said that the Ekere led board was going to last for four uninterrupted years, which lends credence to the allegations that the Ekere led management was likely sacked hence the dissolution.